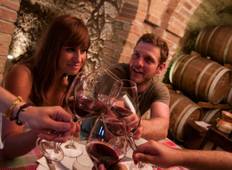 Explore a wide diversity of tours through Central Italy. We have 34 tours that vary from 4 days to 13 days. With the greatest number of departures in June, this is also the most popular time of the year. 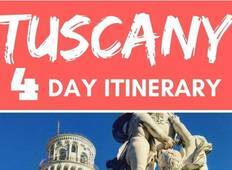 "Our trip to Tuscany was amazing! The Hotel Pierre in Florence could not have been..."
"What an amazing experience, totally authentic cooking recipes from the talented Rafaela"
"This trip was the celebration of my 50th birthday and what a week it was! On the..."
"All perfect, Claudia, our tour leader was outstanding. Hotels charming in a fantastic..."
"We had the best experience with Raffa at Let's Cook in Umbria. An absolutely unforgettable..."
"What an amazing trip we had! The 7 day tour we took had a bit of everything. Our..."